There has been an unmet need for advanced scaffold and patch materials for cardiac repairs among congenital heart surgeons across the world, hampering the outcome in several advanced cardiovascular surgeries. Cellular extracellular matrix (ECM) patches are emerging as vastly promising and form an ideal extracellular environment for cells for repairing damaged cardiac tissues in humans. In particular, what has generated massive interest among researchers conducting clinical and preclinical studies is ECM derived from porcine small intestinal submucosa (SIS). Relentless effort of researchers in remodeling ECM-SIS patch in ovine model in recent years is expected to pave way for exciting avenues in the ECM patches market. Several factors make ECM-SIS a potentially promising candidate for next-generation cardiovascular tissue engineering in the medical sector. Key properties these ECM patches display are based on a range of mechanical, histological, and electrophysiologic properties, such as their ability to promote native tissue growth in patients, amazing remodelling properties, and remarkable absorbility. However, the studies are still at preliminary stages to help researchers reach definite conclusions. For instance, opinions of researchers vary widely with regard to their efficacy in the use for repairing heart valves in humans or their lack of inflammatory responses. One of the most noticeable aspect hampering the benefits of these research on exploring the clinical potential is the lack of desired histological properties of these ECM. Although CorMatrix ECM, a commercially available ECM-SIS, was cleared by FDA way back in 2014, and has since gained widespread popularity in cardiovascular surgery, long-term outcomes are still questionable. Thus the future growth trajectories of the ECM patches market are likely to remain hindered by the lack of large-scale clinical studies that may boast of robust clinical protocols. However, this is not expected to make headway anytime soon, owing to ethical concerns related to testing the clinical efficacy of ECM patches on pediatric populations. The global extracellular matrix patches market is prognosticated to witness a surge in demand during the forecast period due to the rise in prevalence of trauma, congenital heart disease. This kind of incidence often require a reconstruction and repair procedures. This is major reason behind that is thriving the market growth. Centers for Disease Control and Prevention, recently stated that thousands of neonates are born with congenital heart disease in the U.S each year. Rise in adoption of extracellular matrix in pelvic reconstruction and hernia surgeries have fostered the growth of the market. Extracellular matrix is a group of extracellular molecules which are concealed by support cells that provides biochemical and structural support to the surrounding cells. Rise in technological advancement particularly in the field of healthcare sector has completely evolved the treatment procedures that are practiced in the hospitals and healthcare these days. Similarly, Extracellular Matrix is no different, increase in research and development accompanied with advanced technology have favored the growth of the market. It has been noticed that steep cost of these ECM grafts have only benefited the rich class of the society as the middle class could not afford it. This is major factor which is predicted to pull down the growth of the market during the forecast period. However, monetary aid by the government of various countries is likely to burgeon the market growth. For example, American Medical Association have identified eight CPT codes for numerous use of OASIS Matrix products, which is manufactured Smith & Nephew. The product can be compensated in three settings which are physician in office, ambulatory wound care center, and out of hospital. Increase in awareness among consumer about the benefits of biological patches in comparison to synthetic patches, is expected to drive the global market big time. It has also been noticed in past many of the products have experimented recalls, which are likely to dampen the growth of the market. In addition to that other factors which might stand in way of the market growth are several complications associated with the grafts like chronic inflammation, redness, swelling, and pain. These are likely to bring down the market growth in future. 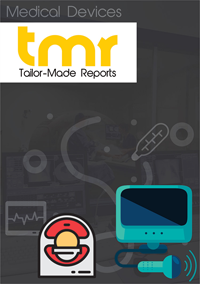 However, rise inguinal hernia accompanied with surgery treatment for trauma is helping the soft tissue repair market segment. Rise in prevalence of vascular diseases, increase in vascular surgeries accompanied with surge in geriatric population are another factors which are try to bolster the market rate. Various private and public organizations are aiding extracellular matrix studies in order to treat vascular incidences, thus favoring the growth of the market. Recently, Kevin Kit Parker, who holds Ph.D. at Harvard University, developed a nanofiber fabrication with his team which can quickly manufacture heart valves with growth and regenerative potential. Andrew Capulli, with his colleagues, fabricated a nanofiber network, which valve is shaped, can mimics the chemical and mechanical properties of the native valve ECM. The global extracellular matrix patches market is spread across Europe, North America, Latin America, Middle East Africa, and Asia Pacific. Amongst the pack North America holds the lion share in terms of revenue recently. Rise in number of cardiovascular diseases, trauma cases, and sports injuries are major factors behind the rise in demand in the region. Availability of advanced technological labs, high healthcare expenditure, and heavy cash flow for research and development contribute the growth of the market in this region. Asia Pacific on other hand is anticipated to become the fastest growing market during the forecast period due to the rise in healthcare expenditure. Players in the global extracellular matrix market are experiencing merging acquisition in order to develop new technologies for ECM patch manufacturing. Some of the leading players in the market are Boston Scientific Corporation, Aziyo Biologics, Baxter, DSM, and Coloplast.